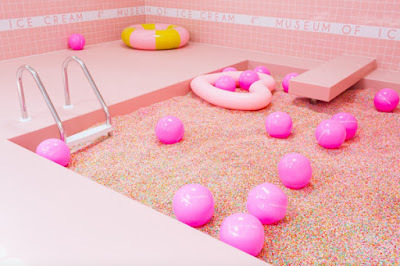 Museum of Ice Cream announces the opening of their fourth museum in Miami, Florida, this December. Since opening the first location in New York last summer and expanding to Los Angeles and San Francisco this year, Museum of Ice Cream has welcomed over half a million visitors from around the world. Founder and Creative Director Maryellis Bunn chose sunny Miami as their next location to celebrate its diverse and culturally inclusive environment in which she immersed herself to source the inspiration. The four-story building designed by OMA in the Faena District in Mid-Beach showcases iconic art deco elements and contemporary interiors alongside stunning ocean views. Museum of Ice Cream proudly serves as a safe environment for visitors to embrace their imagination and creativity. The Miami location officially opens to the public on Dec. 13. The past 15 months, Museum of Ice Cream has populated across the country providing a socially inclusive and accessible experience for all to enjoy. The design of each location is reflective of the city in which it exists and engages all five senses through physical, digital and experiential dialogues. Museum of Ice Cream builds environments where people can check their fears, anxieties and social norms at the door and have fun, first and foremost. The spaces visitors explore at Museum of Ice Cream allow them to create meaningful and impactful human connections with other guest and foster new friendships and memories. Museum of Ice Cream instills a sense of community and gives back to those in each city it resides, leaving a lasting impression. Mark your calendars - tickets are on sale soon at museumoficecream.com. The Platinum Card® from American Express is the Official Card of Museum of Ice Cream. Presale tickets are available exclusively for American Express Platinum Card Members starting on Nov. 15 at 11 a.m. EST, and for all American Express Card Members on Nov. 16 at 11 a.m. EST. Tickets are open to the public for purchase on Nov. 17 at 11 a.m. EST. A limited amount of exclusive preview tickets will be available during Art Basel Week on sale Nov. 14 at 11 a.m. EST. Museum of Ice Cream Miami is open Wednesday-Monday beginning Dec. 13. Tickets include tons of delectable tastings and new in-house treats available only at the Miami location. Tickets are $38 per person and are available in advance online-only. Museum of Ice Cream transforms ideas into spaces that provoke imagination, builds culturally inclusive environments that encourage community, and creates conditions that inspire human emotion and creativity.